Stormwater erosion control wattles are a reliable way to filter water as it flows into a drain system. Designed in a tubular structure, these wattles stretch across drains to remove unwanted materials as they enter the system. 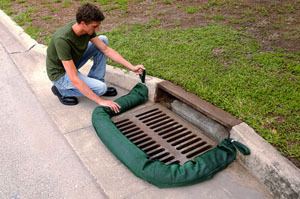 This helps to effectively control sediment on job sites and prevent pollution from entering a drain system. 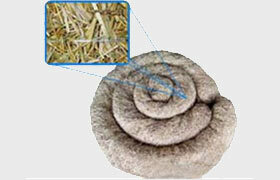 Due to the permeability requirements for most sites, a majority of the wattles are made from natural fibers. As they filter water, they will retain sediment and enrich the surrounding area. Wattles are available in coir, straw, wood fiber, and synthetic materials. 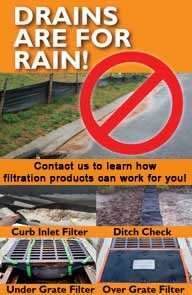 For	more information, check out our Erosion Sediment Control Products. If you have questions about any products give us a call at 1-772-646-0597 or request a price quote. Two of the most common materials used to construct our wattles are natural coir fiber and straw. These items are completely biodegradable and are packed at the right density to remove unwanted sediment or silt from the water. As an alternative to natural fibers, Synthetic Stormwater Erosion Control Wattles can be a reliable option for any site dealing with polluted runoff. Made from a synthetic exterior and interior polymer, these wattles can be designed to target specific pollutants including activated carbon, sorb 44, heavy metals, and phosphorous. Standard Size: 7" x 4" x 108"
View all Sediment Control Products.